Many of our blog topics come directly from daily conversations with customers. We often get the question about Robins being here in great numbers during the winter months. Why do we have so many Robins right now? Robins that are north of us during the spring and summer months fly south in the fall where many will settle here. Most of our spring-summer Robins are probably year round residents. So, between our year round residents and the migratory population our numbers expand significantly. 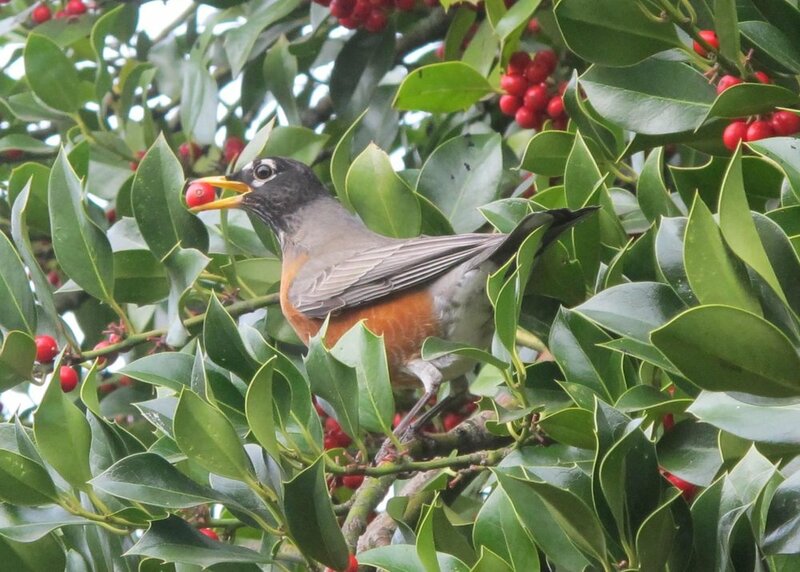 Each winter you can expect to see greater numbers of the American Robin in this area. There have been flocks estimated to be nearly a million at night time roosting sites in the Nashville area. Tip: Don’t park your car there. Owls are likely breeding, or on nest by now. Great horned, Barred, and Screech owls are all earlier nesters than songbirds. The Barred owl is our most common owl and most and widespread in North America. It takes about 30 days of incubation for an owl’s egg to hatch and up to 40 days for a baby owl to fledge. Screech owls are the most likely to accept a man-made nest box, although recently a customer has seen evidence of a Barred owl using a home-made constructed box. Don’t forget the Great Backyard Bird Count started today and is going through the 18th. For more information visit their website gbbc.birdcount.org and stop by the warner park nature center tomorrow from 10am till noon and participate in the count with them. Click here to learn more about our sale! Our big February sale is going on through February 23rd. Stop in and save on all things bird feeding and all seed is on sale too! Buy extra while it’s on sale and store it at the Wood Thrush. Click here to see more on the sale!